How Do Underbite Braces Work? Home / Articles / How Do Underbite Braces Work? Most people do not have a bite that results in their top and bottom front teeth resting exactly together and some need orthodontic treatment. Usually, the upper front teeth overlap the bottom teeth by some amount, which is called an overbite. In some cases, there may be a large horizontal gap between the two sets of teeth and the overall bite between the two jaws is not optimally aligned. This is called a malocclusion or bad bite. The opposite situation can also happen, where the bottom jaw comes out further than the top jaw and, therefore, the front bottom teeth overlap the top front teeth. This situation is what is known as an underbite and is much rarer. When one has an underbite there are several concerns to explore. The most obvious is the cosmetic aspect. Since underbites are rare they can be seen as an undesirable look or even a “defect” even if there is nothing dentally wrong with the person’s mouth. The person may want to fix their underbite solely for this reason. Underbites are also a form of malocclusion so those with an underbite should be evaluated by their dentist to ensure there are no negative effects developing. In the case of a malocclusion, complications can arise as the person ages. Since the jaws are not optimally aligned, their teeth may come into contact in an odd fashion and cause damage or premature wearing down of the enamel in spots. They may develop a condition called TMJ or temporomandibular joint disorder. This disorder results in chronic pain and soreness in the jaw and is caused by the incorrect jaw or tooth alignment. Those with an underbite may also have difficulty with daily oral activities such as speech and eating. For all of these reasons, it is often advised to correct the underbite. 1. The upper jaw may be enlarged to protrude over the bottom. This is done with widening appliances and retainers, with a potential round of braces to realign the lower and upper teeth once the jaw reaches the proper size. 2. External gear, such as a chin strap, may be worn for many hours a day over a period of time to encourage the lower jaw to come forward. 3. Braces can be used to adjust the teeth. 4. 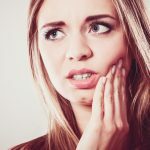 Jaw surgery can be performed to realign the bite. 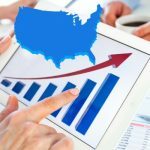 The first two methods are usually only available for use on children. This is because they are still growing and their musculoskeletal system is still able to be molded. 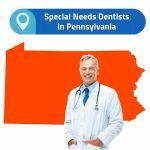 It is therefore important that any child with an underbite be evaluated by a dentist while they are still young enough to begin a remediation program if necessary. 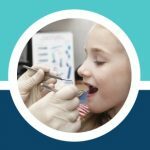 The ADA recommends that children have their first dental visit by the time they are seven years old. If an adult has an underbite then their only two options are braces or jaw surgery. 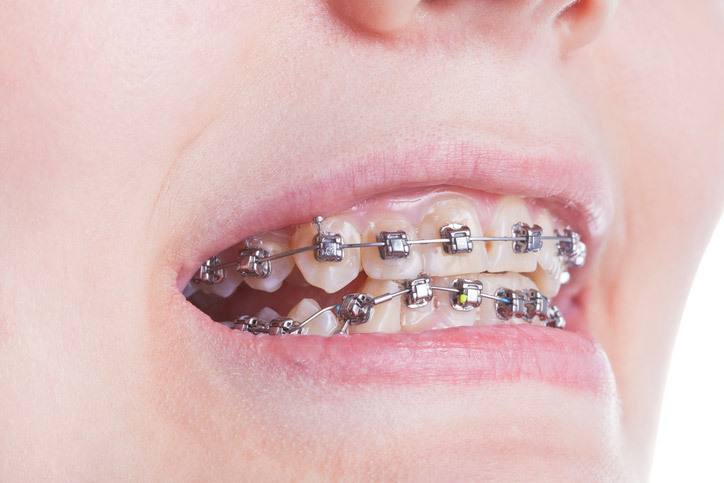 If the bite is purely dental in nature then they should be eligible for braces, which is the less invasive and easier of the two methods. If the underbite is caused by an underlying skeletal condition then surgery tends to be the only available option. This is a quicker procedure than months of wearing braces but there is also a recovery period of several weeks in which the jaw is wired shut and the patient must consume a purely liquid diet. Many do not find this situation to be ideal. For those who are lucky enough to be able to use braces to fix their underbite, it helps to know exactly how they work and what to expect. Everyone’s teeth are different but usually, if the underbite is due to a dental cause then the patient probably has some combination of forward-angled or protruding lower front teeth and possibly gaps between teeth. The purpose of the braces, in this case, is to realign the teeth around the jaw, close up gaps, and reign in the front teeth. Ideally, this will compact everything and straighten up the front teeth so that the arrangement of teeth in the lower jaw is within the arc of teeth on the upper jaw; therefore, turning the underbite into a minor overbite or at least lining the two rows of front teeth up with each other. In some cases, the underbite may be caused not by erroneous lower teeth but by the upper front teeth being angled inward. This situation would be corrected by coaxing the top front teeth forward and out from behind the lower teeth. In either case, the mechanics of the braces themselves are basically the same. The dentist or orthodontist will take tooth impressions and X-rays in order to get a full picture of the oral situation and develop a plan. When it comes time to install the braces, small square brackets are bonded to the front of each tooth. An archwire is then attached to the row of brackets with small rubber rings. The archwire provides continuous pressure to encourage the teeth to realign in the way that the dentist or orthodontist is intending to fix the bite. Over the course of the process, the archwire may be swapped out multiple times to continue to provide adequate shaping pressure as the teeth move around. This is the basic method in which underbite braces are applied and operate. 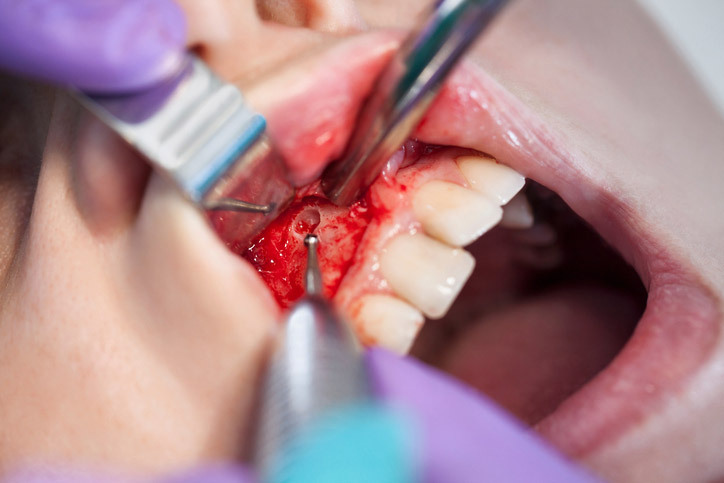 In some cases, the additional gear may be incorporated, such as using elastics to adjust the overall bite alignment. After the teeth have been moved into the proper position the braces will be removed by prying each bracket off and buffing away any residual dental cement. It is essential to take very good care of your teeth in the time that you have braces since food can become stuck more easily. Not brushing properly or eating and drinking too much staining food can also yellow the exposed teeth while leaving lighter squares where the brackets were attached, which can look quite odd. After having braces removed the dentist will almost always follow up with a retainer. It is very important to use the retainer as directed and for as long as the dentist advises so that the teeth do not shift back and undo all the hard work that the braces accomplished. Do not skip this step or you will be back to where you started!